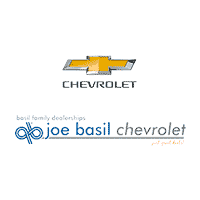 Joe Basil Resale Center is located directly next store to Joe Basil Chevrolet at 5111 Transit Rd, on the corner of Transit Road and Como Park Blvd. We carry a variety of Pre-owned vehicles for all budgets. We have over 300 vehicles in stock ready for same day delivery. Our vehicles come with our exclusive Engine for Life Warranty as well as our Basil 101 point inspection. We don’t just sell vehicles, we buy them also – all makes and models. Stop in today for an appraisal!